ADOLESCENTS WITH CEREBRAL Palsy rated their overall quality of life as comparable to that of their able-bodied peers. Using population-based cerebral palsy registers in nine European regions, researchers selected a representative sample of 431 adolescents with cerebral palsy aged 13–17 years. The new research published in The Lancet reported that adolescents with cerebral palsy rated their quality of life better in five areas than adolescents in the general population — moods and emotions, self-perception, autonomy, relationships with parents, and school life. More severe motor impairment was associated with poorer quality of life in just three categories — moods and emotions, autonomy and social support from peers. Lead author Allan Colver, Professor of Community Child Health at Newcastle University in the UK said the results were encouraging, stating that across ten different areas of life, adolescents with cerebral palsy only ranked their quality of friend and peer relationships as on average lower than adolescents in the general population. 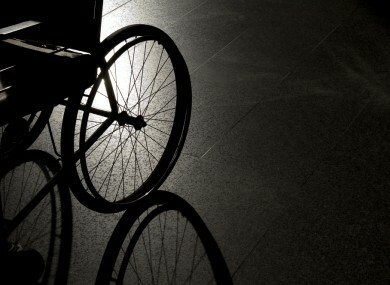 “This challenges the widespread perception that adolescents with disabilities have unhappy, unfulfilled lives,” he said. Pain was one of the main reasons for a reduced quality of life for adolescents. Clover said that clinicians should intervene early in childhood “to ameliorate extremes of pain, psychological problems, and parenting stress, for which effective interventions are available”. He added that attention should be directed to helping children with cerebral palsy, especially those who are more severely impaired, to maintain friendships with peers, and to develop new friendships as they move into adolescence. Email “Teens with cerebral palsy rate their quality of life as comparable with their able-bodied peers”. Feedback on “Teens with cerebral palsy rate their quality of life as comparable with their able-bodied peers”.